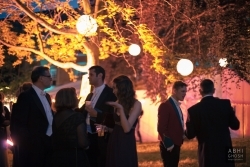 RJCC Events have produced many balls over the years including Balliol's 750th Commemoration Balls for 2000 people at Oxford University, St Hilda's, Green Templeton, Harris Manchester, Merton, Corpus Christi and many other Oxford College balls and Oxford Brookes University. We will start with initial meetings and continue to work closely with students on the committee to create bespoke sound and lighting designs, stage sets and venue decoration; we can also help plan other key aspects such as site management, power distribution and site amenities. RJCC Events can also provide festival-style outdoor covered stages, flatscreen TV's or large format LED screen, architectural lighting, CO2 canons, smoke machines, pyrotechnics and fireworks to music. 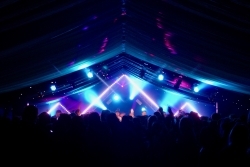 We are well aware of the budgets available, health & safety requirements, build and de-rig limitations and can therefore work with you to maximise your event's potential within these constraints. RJCC Events own all the equipment required for your college or university ball so we are highly competitive with our prices and have not been beaten on like-for-like quotes yet! Best of all you only need to use RJCC Events as one production supplier for your entire event! Please get in touch for a no-obligation site visit on our contact page. "I just wanted to pass on the masses of praise that I have received from the ball committee for your work over the last week and indeed the last 13 months. You've been amazing from day one helping us build what was a truly fantastic night that will remain as a highlight of the colleges history. I particularly wanted to say thank you for your tireless efforts on the night. Even down to the little stuff like adding the fairy lights in the masters garden passage-way you and your team went above and beyond what anybody could have expected and I am in awe of you for managing to keep yourself going for that long. You and RJCC are worth much more than you charged us and anybody who chooses another production company over you don't know what they are missing. I wish you all the best for the future and I will recommend you for any events I know of in the future. Thank you again from everyone in the Balliol Commemoration Ball Committee"
Balliol College 'Monte Carlo' Ball 2015 from RJCC Events on Vimeo.